Thank You Newark for Voting YES for the Open Space Referendum Increase! Thank you Newark for coming out to vote on election day for the additional 2-cent increase on the Open Space Trust Fund that will go directly towards the expansion of Newark Riverfront Park. We look forward to the next phases of development and to creating more exciting family friendly and free programs for the public. If you would like to be involved and make your voice heard, please attend our Riverfront Public Discussion on Thursday, November 19th at 6pm at the Fieldhouse in Riverbank Park, volunteer with us, or become a member of the Friends of Riverfront Park. This entry was posted in Uncategorized on November 4, 2015 by riverfrontcoordinator. November 3rd – Vote Today for the Open Space Referendum! Time to Vote! Are you for or against the Riverfront Park expansion project? Make your voice heard by voting on the Open Space Referendum. 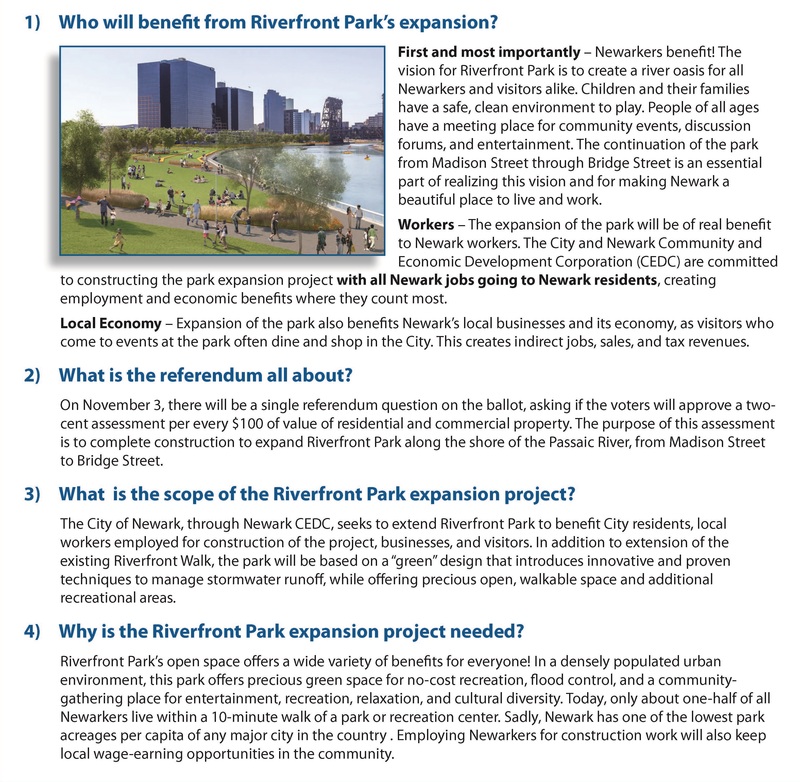 Voting occurs November 3rd, to approve or deny the tax increase of an additional 1 cent per $100 of value of residential/commercial property, making it a total of a 2 cent assessment, which will go towards the expansion of the Riverfront Park. Expansion: The Riverfront Park expansion will go along the shore of the Passaic River from Madison Street to Bridge Street. This project will offer more walkable, open space and additional recreational areas. 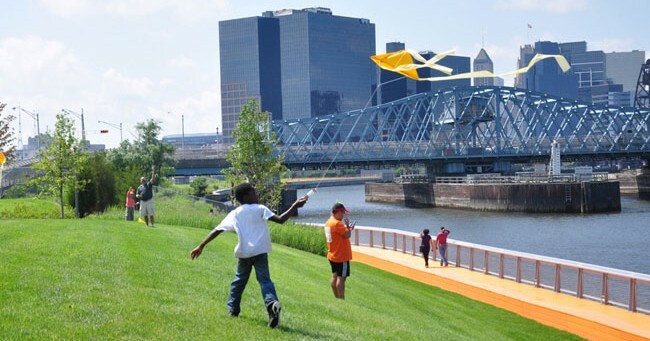 Who is involved: Newark Riverfront Revival, our partners in the City of Newark, County of Essex, and Ironbound Community Corporation, along with the Newark Community Economic Development Corporation (CEDC), a business development company aimed at the economic growth of the city of Newark. How the 2 cent assessment level was determined: The total budget for the Riverfront Park expansion project is $37 million, determined by close estimates of the cost of design services, construction, and materials. Note: This project does not include river clean-up. This entry was posted in Uncategorized on November 3, 2015 by riverfrontcoordinator.